Regenerating night cream that deeply moisturises and nourishes your skin while sleeping, allowing you to wake up with revitalized and radiant-looking complexion. Enriched with wild rose extract to moisturise and soften your skin. Deeply hydrating macadamia seed oil and hydrolysed collagen will retain the so-essential moisture, preserving youthful appearance of your skin. 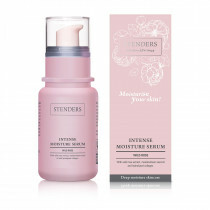 Every evening gently, with your fingertips apply the cream to cleansed face and décolleté. Remember to carefully cleanse your skin beforehand – clear away the traces of your makeup using our soothing Micellar Water, deeply cleanse your skin with the Gentle Facial Exfoliator, tone and refresh with the Moisturising Toner. 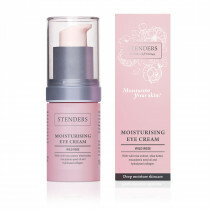 Take care of that delicate skin around your eyes with the Moisturising Eye Cream. For the perfection of your daytime routine, remember to pick up a moisturising and protective Day Cream. Power up your skin moisture routine!